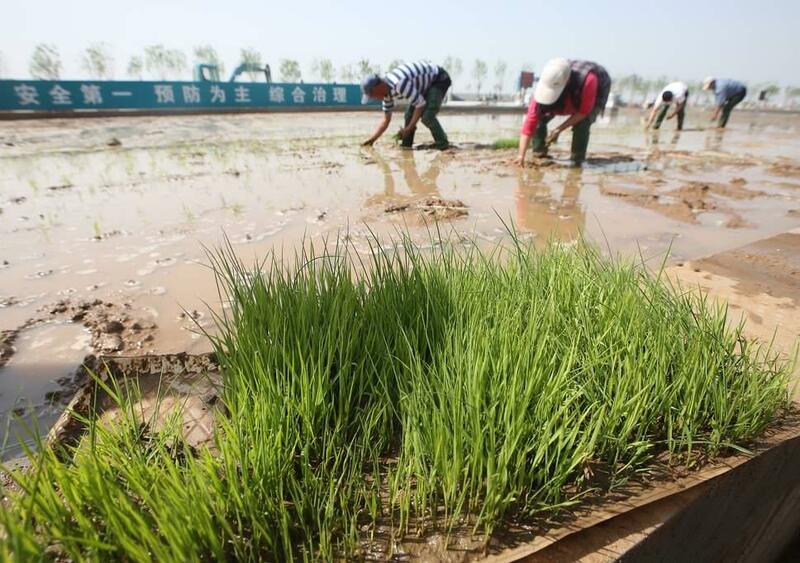 NANJING, April 1 (Xinhua) -- Chinese scientists have bred a new strain of rice with both high disease resistance and high yield, Nanjing Agricultural University (NAU) announced. A research team led by Professor Yang Donglei of the State Key Laboratory of Crop Genetics and Germplasm Enhancement and NAU in eastern China's Jiangsu Province, utilized a high-yield gene, coded Ideal Plant Architecture1 (IPA1), to enhance the plant's disease resistance against the bacterial blight of rice without undermining yields. Yang's team found that downregulation of miR-156 and overexpression of IPA1, a target gene of microRNA-156 (miR-156) that has access to the regulation of multiple processes in the grain's growth and development, would improve disease resistance but reduce rice yield. To find a way out of the dilemma, researchers set an "alarm" on the novel strain of rice to signal bacterial blight invasion and thus raised expression of IPA1 to enhance disease resistance. "We call the new strain of rice 'HIP,'" Yang said, noting that the team has identified miR-156-IPA1 as a regulator of the crosstalk between growth and defense and bred the new strain of rice. Further research showed that without pathogenic infection, IPA1 expression of the new plant strain only increases slightly, which enhances yield-related traits including fewer tiller buds, larger spikes and thick stems. The research findings were published in the latest issue of Nature Plants, one of the top international academic journals on plant biology.